A need to belong drives her. A longing to forget compels him. Fate may send them into each other's arms, but only love can mend their hearts. Raised by a tyrannical father, Marion de Lacy yearns for the comfort of belonging to a loving family. So when her father announces her betrothal to an evil knight in exchange for his help to overthrow the king, she concocts a desperate scheme to avoid the marriage: feigning her own death and then fleeing England. 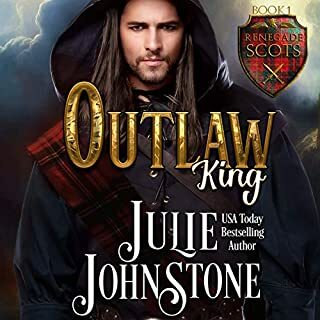 But when her plan goes terribly awry and she's captured by the knight, not even her careful preparations could ready her for the Scottish barbarian who rescues her and then informs her that he's to marry her by edict of her king. 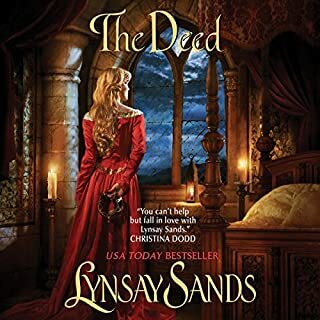 Certain her father will defy the king's orders and wed her to the knight if she refuses the Highlander's hand, Marion agrees to marry the strangely compelling but obstinate laird of the MacLeod clan. Following a hasty marriage and perilous journey to Scotland, Marion harbors no illusions that her new husband loves her. Still, her heart cannot resist the noble, brave warrior, and she cannot suppress the hope that she has finally found where she belongs. However, the harder she tries to fit in with the clan and gain Iain's love, the farther away her dreams drift. 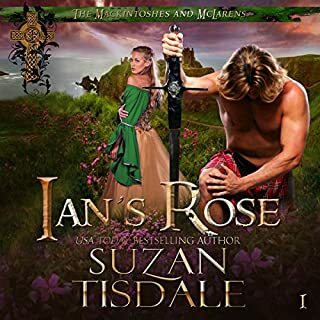 Iain is more than willing to give his respect to his courageous wife - her kisses and caresses even ignite his blood and demand his passion - but he refuses to give up his heart. Everything about it was perfect from the story to the narration. An instant favorite. I'll be listening to it again. This is my first book by this author and the story was excellent. The main characters are well written and life during that time period is historically accurate. I was especially impressed by the narration. Mr. Campbell was Excellent! I have my favorite narrators for different authors and these 2 make a great pair. 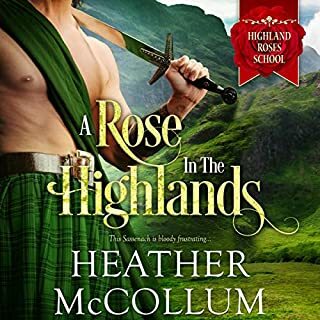 If you like Highland romance you have to listen to this one. I can't wait to start the next book in this series. This was a wonderful book. The love story was we'll done, the love scenes had just the right amount of steam and the drama and suspense kept me on the edge if my seat until the end. This story was just ok. I didn't think it was all that great. Your average Highlander plot...I think it needs a twist of some sort it was predictable. Ok for the credit I guess....don't think Ill go on to the next one.